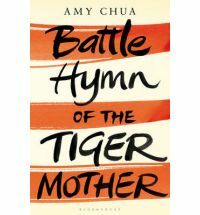 In the last School Holidays I was finally overcome with curiousity, so I bought and read 'Battle Hymn of the Tiger Mother' by Amy Chua. If you would like to borrow it and read it for yourself just let me know and I am happy to lend it to you, I can send it home with your child. I wont tell you what I really think of it, but I certainly think it's worth a read! Chua imparts the secret behind the stereotypical Asian child's phenomenal success: the Chinese mother. Chua promotes what has traditionally worked very well in raising children: strict, Old World, uncompromising values--and the parents don't have to be Chinese. What they are, however, are different from what she sees as indulgent and permissive Western parents: stressing academic performance above all, never accepting a mediocre grade, insisting on drilling and practice, and instilling respect for authority. Chua and her Jewish husband (both are professors at Yale Law) raised two girls, and her account of their formative years achieving amazing success in school and music performance proves both a model and a cautionary tale.